So I just wanted to start a thread where we could go over and discuss a few factors having to do with gearing down the Venture, using 550 sized motors and what can be done to overcome the limitations. The Venture uses 48p gears and I believe the lowest possible tooth count for 48P is maybe 11t? (correct me if I'm wrong) Although it seems a bit risky to use such a small pinion gear in combination with the metal spur gear it comes with since there so little material left on these low tooth count pinions. The issue is that to gear down this low you will run into a few possible obstacles. 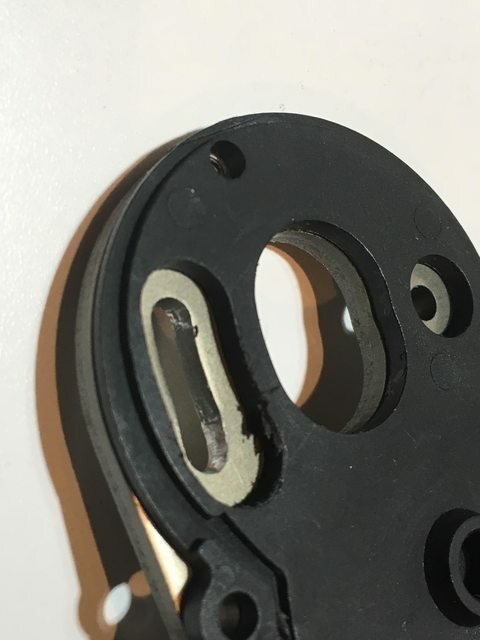 The first being the adjustment slot cut in the motor mount doesn't allow you to get close enough to mesh lower tooth count pinions. I found that it wont even allow me to mesh a 14t pinion (using a 540 sized motor). What I did for this is just extend the slot with a drill and drill bit using the side of the bit to cut (not the intended use case but works). I also extended the slot in the plastic piece too. I think I slotted this farther than needed but no harm no foul. 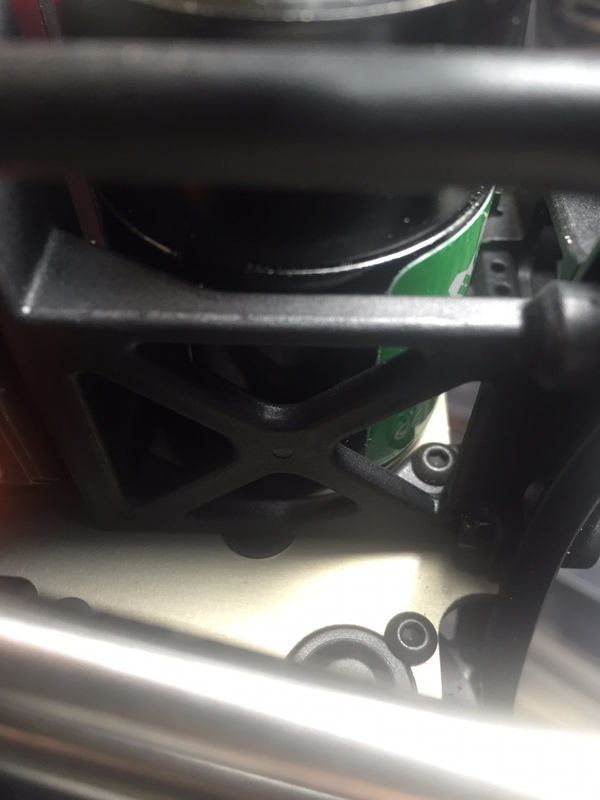 The next limitation you might run into is the front crossmember which is also the servo/motor mount. 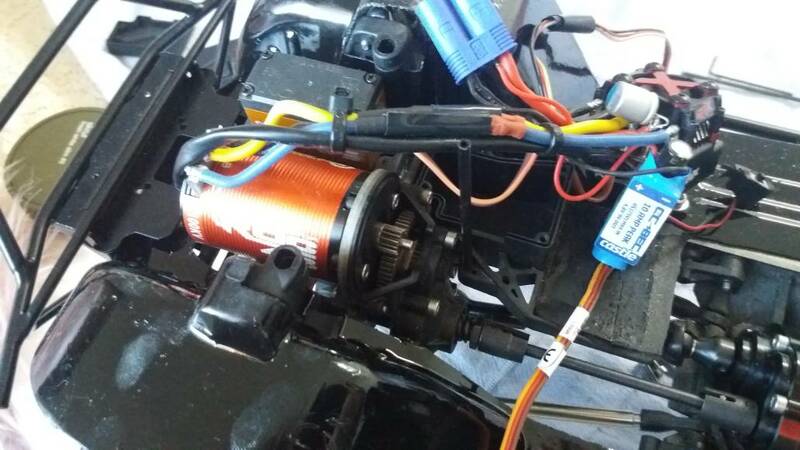 It's very close to the motor and even closer with a 550 motor due to the larger diameter of motors that size. I've heard first hand that with the HH Revolver (which is .8mm smaller than a 550) that the lowest you could go with a pinion might be a 17t. 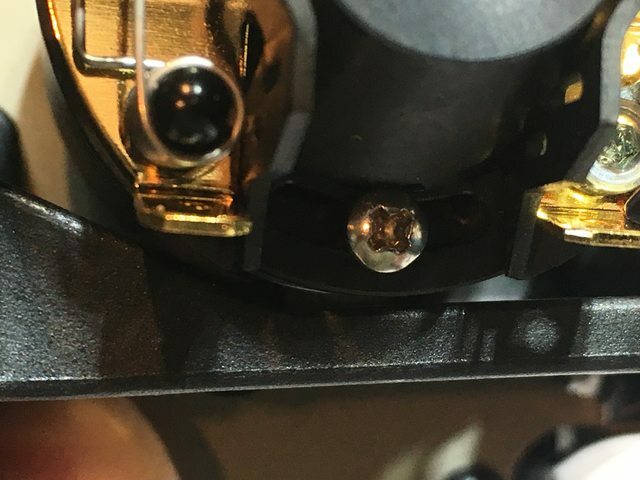 My friend found out it was rubbing on the crossmember after he noticed smoke (luckily not the magic type). This happened when he tried a 14 or 15t pinion. For this issue my idea was to design a new front crossmember to give 550 motors more clearance and allow more room to gear down. Now I'm still assembling my SBK at the moment so I dont really know if I can make more space or not. I've seen a few other folks asking about 550's in the Venture and thought this would be useful for others too. Anyway if we know the lowest we can gear down in theory is a 11t and the size of a 550 motor is 36mm all I need to find out is how much room we have stock vs how much we need to get the max clearance. I think theres some sort of formula lurking in there but I need time to unrack my brain. This is all theory right now (the crossmember idea) so forgive the lack of detail and specifics. Last edited by HumboldtEF; 03-15-2019 at 06:38 PM. Interested on what peoples ideas are on this. Althogh I'm using a 30T holmes brushed motor, I have a 21t Holmes 550 I could try. I don't know if there will be any body clearance issues with the body I'm using in my SBK. I figured I would try out my 550 with the smallest pinion I have. The smallest pinion I have is 17t. I got everything bolted up and the motor appears to rest on the crossmember. There might be a slight bit of room but not much if any. Thinking a pass with a sanding drum might get down to 15t pinion but the crossmember might be to weak. It's hard to tell from the picture but it's close. I put the castle slate 1900 in mine with the stock piniom. What kind of bumper mods are you talking about? 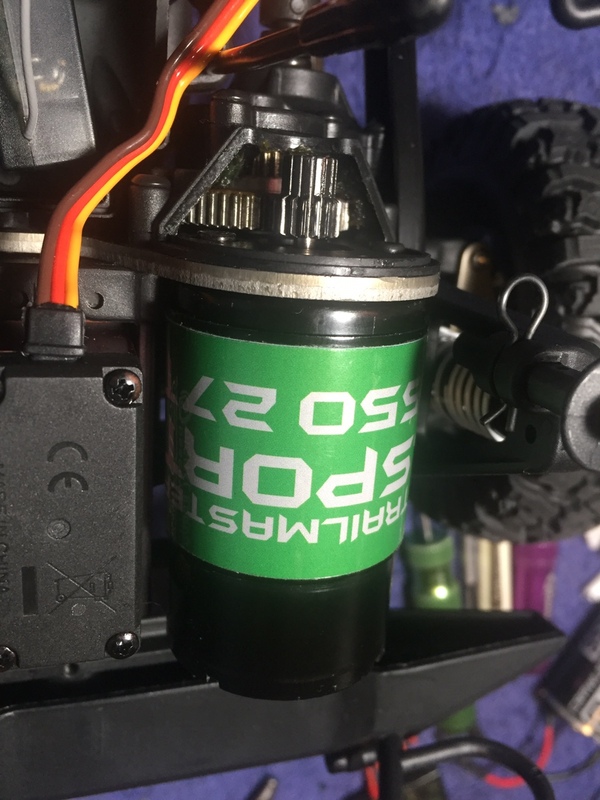 RC4wd makes Al bumper crossmembers for the front and rear with SCX-10.2 pin mount spacing. Ok I just realized I'm confused about 550 motors being a bigger diameter, instead they're longer. So this effects all motors really. Even with the tiny puller 500 I ran into clearance issues, its 32mm compared the typical 36mm diameter and its using a 13t pinion, theres about .75mm clearance. That probably explains why I ran out of space to adjust mesh on the motor plate as I can push it closer than usual. Last edited by HumboldtEF; 03-15-2019 at 09:04 PM. 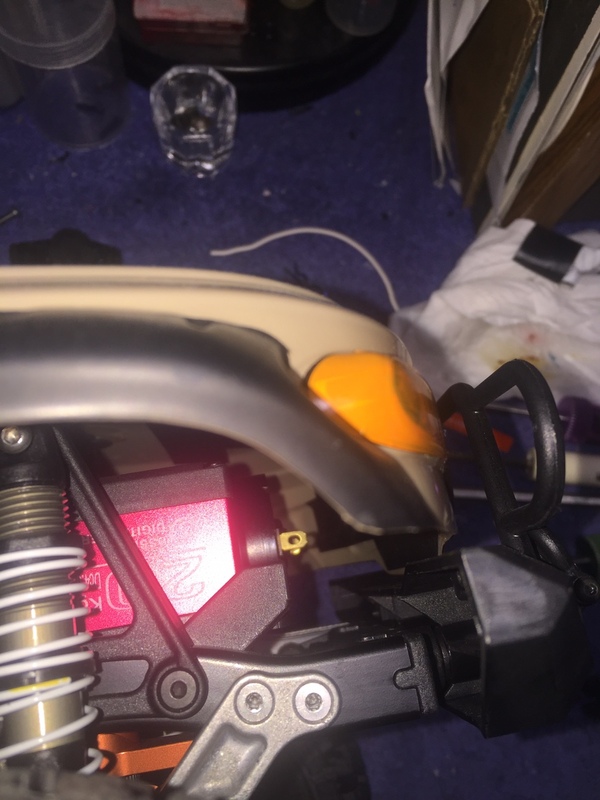 Would it be worthwhile trying to raise the motor mount slightly on the chassis? I know it would affect CG, but even 1mm might be easier than trimming the cross member. I'm at work, so can't look at mine. If you only need a mm I'd probably trim it but if you need more theres not a ton of material to trim before you cut through it. Last resort would be raising the motor I suppose. I'm harping on this simply because I like the idea of options but I really have no idea what wheelspeed to expect out my setup yet. I need to get past this theoretical mumbo jumbo and finish building so I can actually test. I didn't know HR did those spur gears. It's a shame that the 2 gears are combined. If someone came up with a split gear design that would be a neat idea. In the manual, page 21 the ratio chart shows a 56T pinion as a part #105813. 60T (#105809) is stock size. Last edited by M1tch; 03-18-2019 at 08:45 PM. I don't know what the total driveline reduction is. That way I could compare with my Ascender as I'm running a 30T 540 motor in 1 of them. Come to that I don't know what the Ascender ratio is. Last edited by nosser; 03-16-2019 at 12:37 AM. I am running a cheap axial 55T in mine. On 3s it runs at a fast walking pace wide open. Last edited by Rcdood; 03-17-2019 at 11:46 AM. I was looking through Ebay for a 62T spur and found that the gears in the Venture are also used in the Savage XS. Same part no. Biggest they do is still 60T. Still looking to see if it would be possible to get a 62T and fix a 32 onto it as an idler somehow. might not need to do it, but just thinking and looking to see whats available, and if a 62t would fit. Last edited by M1tch; 03-18-2019 at 07:53 AM. Curious as to how you got a 14T pinion to fit? Just put it in there It is a tad looser mesh than i usally like, but i dont think it will be a problem. I finally got a chance to run my Venture yesterday and gearing was fine for my setup, HH brushed puller 500 team 16t with a 13t pinion. I guess I was making a mountain out of a mole hill based off of my brothers experience. So I'm not seeing too big of a need for a redesigned motor mount to give more room for gearing options but if anyone does feel like there is a need just speak up. I probably wont be making one up unless folks say different.